At the COP20, ICLEI will continue to represent the interests of local governments and highlight their achievements. Here we focus on one of our members: Brussels! Thanks to ICLEI Europe for this excellent profile. Brussels is home to the European Union and, with a population of over 1.8 million, is also the largest urban area in Belgium. For several years, Brussels has been involved in a large number of activities aimed at meeting the environmental challenges specific to a modern city-region. The objective is for Brussels to become a model for sustainable development in the coming years. 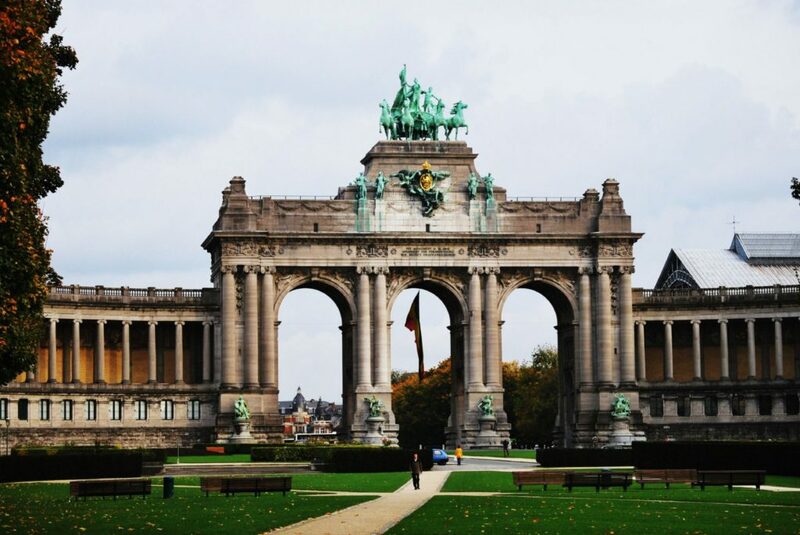 Cinquantenaire triumphal arch, Brussels. Photo courtesy of Ssolbergj via Wikimedia. The Brussels-Capital Region has chosen to pursue several courses of action, affecting all areas of life in the community. First, the region decided to improve the energy efficiency of buildings through large-scale promotion of sustainable renovation and construction techniques. For the long term, general implementation of the ‘very low energy’ and ‘passive’ standards has been defined as a clear objective of the policy. Finally, significant resources are being devoted to combating environmental pollution through water purification, combating pollution peaks and reducing waste. The region is also supporting hundreds of local initiatives, such as sustainable neighborhoods and the creation of vegetable gardens. The Brussels region believes that it’s important both to work on new districts and to refurbish old ones. The region has therefore introduced the “Sustainable Neighborhood Contracts” program. Every year, four ‘hotspots’ are selected and are given support and financing. The funds flow on an integrated approach basis – for instance, into new social housing, quality public space, housing insulation, water management, alternative energy, recreational facilities, and socio-economical projects, all in a co-definition process with the inhabitants. For each district, the program is organized in consultation with all the stakeholders of the district, giving a true meaning to the word “contract”. The participation of residents takes the form of a presence on the management bodies set up to monitor projects, but also innovative forms such as “diagnostic walkabouts” or “district workshops” which help to redefine the contribution of stakeholders, enabling each participant to be on the same level, and bringing what he knows and thinks. One example is the district of Masui, which has a low-income social structure. The innovative pilot project is concerning the dry and meanwhile overgrown bed of the River Senne, which is turning into a ‘green corridor’ with parks, allotments gardens and cycling lanes. New residential areas and various social facilities are expected to develop around the green corridor. ICLEI and Brussels: The Brussels Capital Region has been an ICLEI member since 2004. ICLEI is represented in the capital of the European Union by the ICLEI Brussels Office. The office developed a practical guide entitled How to organise sustainable meetings & events in Brussels in 2011. As part of its sustainable activities the Brussels Capital Region is supporting the ICLEI European Convention 2011. ICLEI and Brussels also developed a case study on the region’s local climate and energy actions as part of the LG Action project.